1952 Cadillac Convertible by TKM Models. 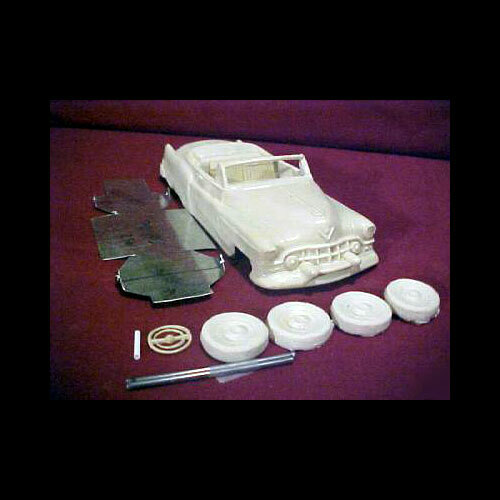 One piece body with metal chassis plate, wheels, steering wheel, column, and axles. This resin model / body may require a GM model kit for donor parts to finish.